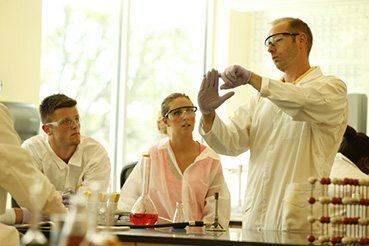 We also offer a variety of minors some of which are associated with majors and others which are interdisciplinary in nature. An academic minor is an option available to all students but is not a degree requirement. Visit the American Studies website for full details about this minor. Visit the Anthropology website for full details about this minor. Visit the Visual Arts website for full details about this minor. Visit the Art History page for full details about this minor. Visit the Biology website for full details about this minor. Visit the Chemistry website for full details about this minor. Visit the Chinese page for full details about this minor. Visit the Classical Humanities page for full details about this minor. The coastal management minor focuses on the development of skills suitable for students interested in management of coastal and marine resources, as well as those students pursuing careers in environmental consulting and academia. Students minoring in coastal management must learn to interpret critical coastal and marine issues from a multi-disciplinary perspective. Students will be exposed to coursework focusing on environmental/natural resource management, the biological and physical environment, and human dimensions of coastal management. 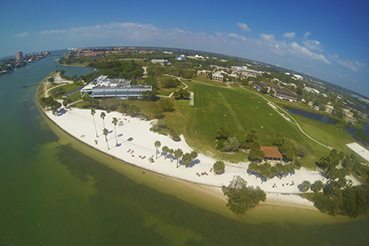 The Minor in Coastal Management will help students integrate knowledge on an array of different topics, such as land use planning, protected area management, resource economics, environmental law and public policy in the interdisciplinary study of the management of coastal and marine environments. The Coastal Management Minor is comprised of six classes. Students will be expected to take two core interdisciplinary courses related to the management of coastal and marine resources. Students must also take three electives from two broadly defined categories of study. The minor requires a minimum of one elective from both the Physical and Biological Environment and the Human Dimensions categories. The minor also requires that students take one class from a category of analytic tools. These tools will aid in the evaluation of interdisciplinary coastal and marine issues. One Coastal, Upper-Level Synthesis Class (either ES460 Coastal Hazards: Science and Management, ES461 Coastal Ecosystem-Based Management, or ES 463 Fisheries Governance). 3 Electives (one elective from the Biological and Physical Environment category and one from the Human Dimensions category). At least one elective must be 300 level or higher. Note: Environmental Studies majors and minors may not double count more than two courses. For a minor in Comparative Literature a student must take six courses, at least three of which are at the 300 level. Of these, three must be LI-designated courses in comparative literature, and three must be courses in the literature of one or more foreign languages (including courses in translation). Students may not minor in both Computational Science and Computer Science. Visit the Computer Science website for full details about this minor. Visit the Creative Writing website for full details about this minor. Visit the East Asian Studies website for full details about this minor. Visit the Economics website for full details about this minor. Visit the Environmental Studies website for full details about this minor. Visit the Business Administration & Management website for full details about this minor. Visit the Film Studies page for full details about this minor. All courses for the minor must e passed with a grade of C- or better. Visit the French website for full details about this minor. Visit the Geosciences website for full details about this minor. Visit the History website for full details about this minor. Visit the Human Development website for full details about this minor. Visit the Interdisciplinary Arts website for full details about this minor. Visit the International Business website for full details about this minor. Visit the International Relations and Global Affairs website for full details about this minor. The minor in Italian requires a total of five courses, which must include the first and second year sequences (101/102, 201/202) or their equivalents. The fifth course can be IT 301H or 302H, IT 306H, Winter Term Language Immersion in Italy, or an independent study course in Italian language or culture. 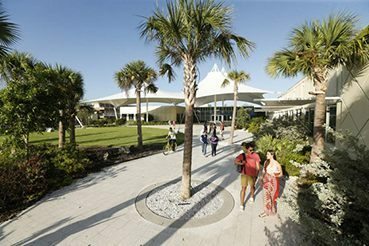 Minors who transfer credit (from the U.S. or abroad) are required to take at least one advanced course in Japanese at Eckerd. Visit the Journalism page for full details about this minor. The Latin American Studies minor offers an introduction to the history, societies, politics, language, literature and cultures of Latin America. The minor in Latin American Studies is interdisciplinary and draws from the humanities and the social sciences. It is designed to complement all majors at the College by adding an international dimension. Two Winter Term courses may be counted towards the LAS minor: one Winter Term project with a major focus on Latin America offered on or off campus and one Eckerd faculty-led Spanish language intensive course. The language intensive winter term course must count as one of the required semesters of language study. Students majoring in Spanish may only count two of the upper level language classes taken for that major towards the Latin American Studies minor. The minor in Law & Justice is designed explicitly for students who are planning to attend law school. Students completing the minor will gain important legal knowledge and skills that should serve them well in law school and later in law-related careers. The minor requires the successful completion of one foundational course: either Constitution and Government Power (PO301) or Constitution and Individual Rights (PO 302S) and five additional courses from a list of law-related courses offered across the College's curriculum. Completion of this minor exposes students to the major principles underlying American law, the case method of legal study, and the role of law in American society. The College's Pre-Law Advisor oversees the minor in Law & Justice and assists students in the program, providing them with career advice and assistance with the law school admission process. Students choosing a minor in Law & Justice are strongly encouraged to select a complementary major in consultation with the College's Pre-law Advisor. The Law & Justice minor is ideal for students majoring in several other programs offered at the College. Students interested in eventually pursuing a career in environmental law can pair the minor with a major in Environmental Studies. Those interested in a career in corporate law can combine a Law & Justice minor with a major in Business Administration or Management. A minor in Law & Justice could complement a major in International Relations & Global Affairs for those interested in going into the field of International Law. The Leadership Studies minor includes six courses from the approved list of courses. These courses address theory, skills, and values and expose students to a multitude of relevant dimensions of scholarship about leadership. In addition, students must complete a major project, internship, or practicum in which they demonstrate significant leadership. All courses for the minor must be passed with a grade of C- or better. Visit the Literature website for full details about this minor. Visit the Management website for full details about this minor. Visit the Marine Science website for full details about this minor. A minor in marketing requires successful completion of the following program of courses which includes four required courses and two electives. Note: courses marked with an * have prerequisites. Other Eckerd College courses specifically designated as "Marketing" in the title and/or content of the course can also count as an elective. Students should consult with the Marketing Discipline Coordinator regarding the eligibility of the course to fulfill this requirement. Only one Winter Term course may count toward the minor. Visit the Mathematics website for full details about this minor. Middle East-North Africa Studies is an interdisciplinary, transnational field that focuses on the peoples, cultures, politics, languages, histories and current issues of the Middle East and North Africa. Completion of one of two Core courses: PO 252S Middle East Politics or HI 218 Cultures and Societies of the Modern Middle East. If not taken as core requirements, then PO 252S or HI 235 can count as electives. Two semesters of Arabic language (AB101 and AB102). Native speakers or students who test out of AB101 and 102 will be required to take one additional language course, 200 level or above. Additional Arabic training is strongly encouraged for all students but will not count toward an elective requirement. Three elective courses spread among at least two collegia (for example, two courses in BES and one in Letters). At least one of the electives must be a 300 level course or above. Visit the Music website for full details about this minor. Visit the Philosophy website for full details about this minor. Visit the Physics website for full details about this minor. Visit the Political Science website for full details about this minor. Visit the Psychology website for full details about this minor. Visit the Religious Studies website for full details about this minor. Visit the Sociology website for full details about this minor. Visit the Spanish website for full details about this minor. The sustainability minor explores the interaction of human society with the natural world and examines existing attempts to make human society more sustainable. The study of sustainability requires experience with a wide array of disciplines, and this minor is designed to familiarize students with the approaches of the humanities, natural sciences, and social sciences to the relationship between humans and nature. This minor is a good match for students who want to understand the role of their major in the context of the challenges of sustainability and want to use their knowledge and skills to address these challenges. The minor is comprised of three core courses and three elective courses, one drawn from each of three areas: Humanity and Nature, The Natural World, and Applying Ideas. Note: No more than two courses may be double counted between the Sustainability minor and the Environmental Studies minor, Coastal Management minor, or the Environmental Studies major. Visit the Theatre website for full details about this minor. Visit the Women’s and Gender Studies website for full details about this minor.